Chickens natural sleeping position is off the ground. A high quality roost made for backyard flocks, this comes in two sections so it can easily mount on a post in the yard or in the coop. 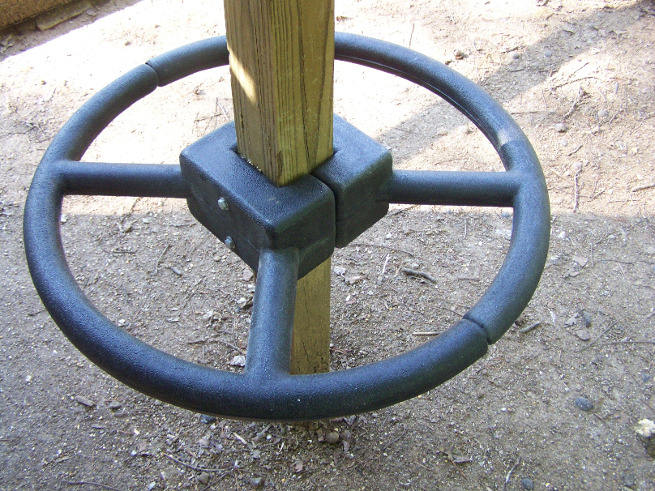 If you have a 4x4 post make a complete ring for added space for your birds. Marine grade plastic means this weather-proof roosting bar will last a lifetime.